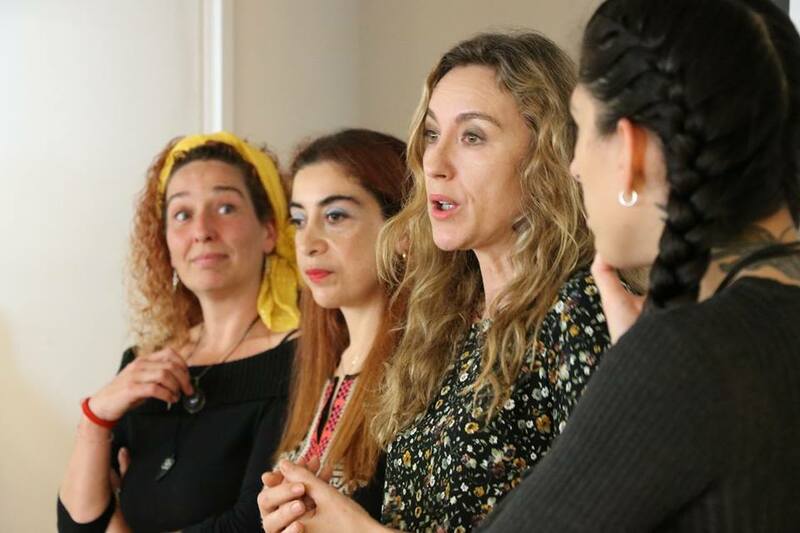 Our action is based on three perspectives, which are articulated between them and pierced by gender, in order to achieve that each woman, in the centre of all action, as a subject of her own process, gets empowerment. 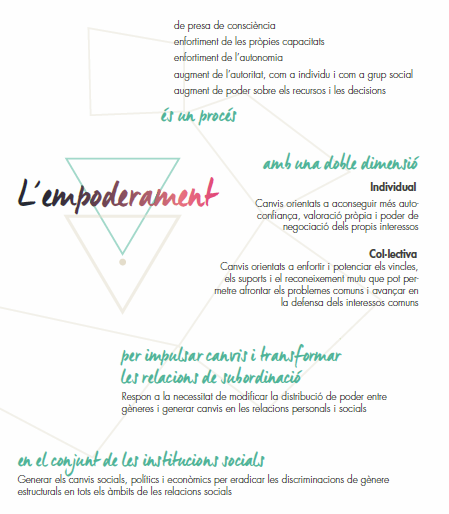 is transversal in Surt and guides our action. 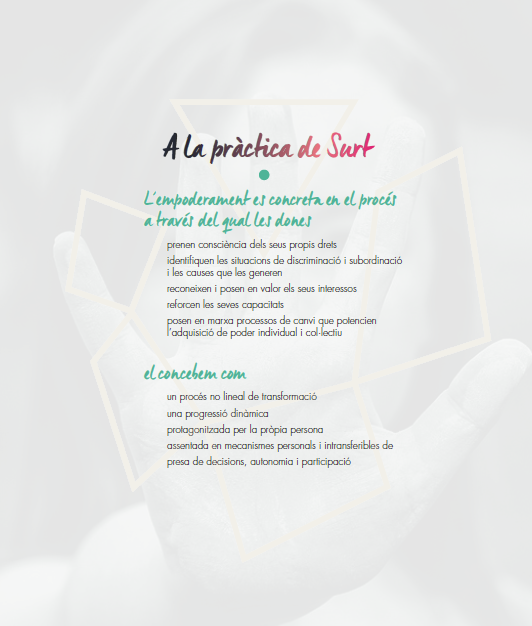 Incorporating the knowledge that results from feminist social research and women perspective in the design and implementation of Surt’s activity allows us to identify inequalities that affect women’s social, economical and laboral participation. We focus on women’s needs and experiences as well as in distinguisable impacts of policies and programmes, from a feminist perspective. The gender perspective is directly connected to a rights perspective, oriented to promote and defend Human Rights, emphasising women’s rights. It situates individual and collective rights as the frame of reference and its protection and guarantee as bases and tools for policies and social action.